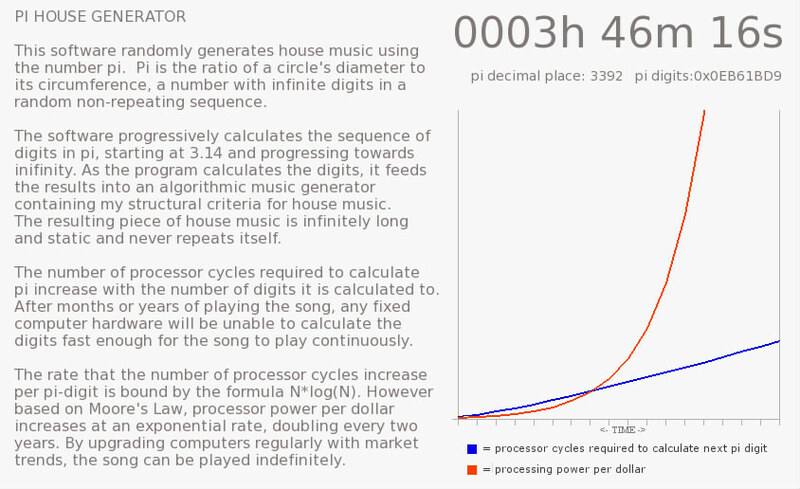 The “Pi House Generator” by Texas-based artist Paul Slocum is a software system that randomly generates house music using the number Pi. The software calculates the sequence of digits in Pi and feeds the resuls into an algorithmic music generator containing the structural driteria or recipe for house music. The resulting music is pretty funky and you can listen to a sample here.